Provide comfort for the family of Cary Bartlow with a meaningful gesture of sympathy. Cary was born in Woodward, Oklahoma to Christopher Merle & Mildred Bartlow. At the age of 73, he died from pancreatic cancer peacefully in his home, surrounded by his beloved family and with an appreciation to the Lord for the generous gift of life. Cary is survived by the love of his life, wife Jennifer Jean (Neal) Bartlow of 48 years, his beloved sons and their families, Brad (Andrea), Camron (19), Callie (17mo) Bartlow and Scott (Brooke), Faith (6), Mae (3) Bartlow both of OKC. Also, his older brother Gene Steven Bartlow, Col., Ret. USAF (Karin) of Spring, TX, as well as, his many in-laws, relatives, colleagues & friends. He obtained his B.S. in Mathematics, with minors in Physics and Chemistry, M.S. in Rehabilitation Counseling Psychology and Ph.D. in Counseling Psychology, which lead to a successful career with and in the State of Oklahoma. Cary pioneered a specialized vocation and started his own private rehabilitation counseling practice which impacted thousands of people’s lives. Cary was a man of God who left a faith legacy for his family. He used his teaching gift at United Methodist Church of the Servant to help others find and follow Jesus. Cary’s deceased parents and many friends and relatives have welcomed him in Heaven. Well done my good and faithful Servant. Cary enjoyed spending time with his family and friends. He loved to read, travel, and learn about history especially Civil War and WWII. 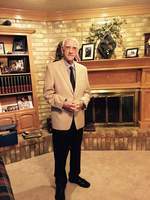 He was an avid University of Oklahoma sports fan, and he followed the Dallas Cowboys, New York Yankees, Boston Celtics and the Oklahoma City Thunder teams. He would always enjoy a good steak or a Sam Adams and shrimp cocktail while watching any sporting event at home. He loved photography and scuba diving. He was a gun collector. He was a musician who loved to play the guitar. Cary loved to laugh and make you smile. Dad loved to collect interesting canes around the world but he never needed them. In honor of this fun collection, we have created a floral arrangement using his canes to make you smile. Funeral Services will be held on Friday, March 29, 2019 at 11:00am. In lieu of flowers, donations can be made to Stephenson Cancer Center in OKC. 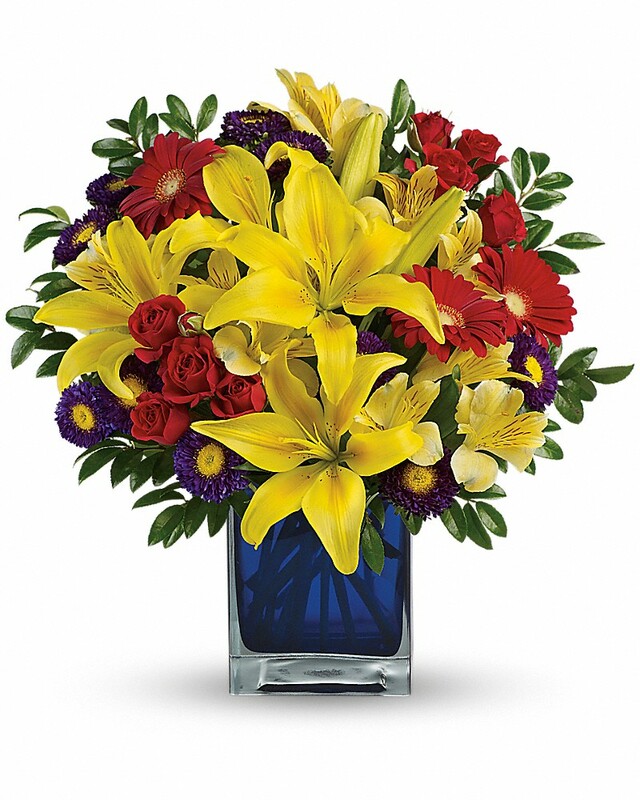 To send flowers in memory of Cary Lee Bartlow, please visit our Heartfelt Sympathies Store. We encourage you to share your most beloved memories of Cary here, so that the family and other loved ones can always see it. You can upload cherished photographs, or share your favorite stories, and can even comment on those shared by others. Rod and Delaine Kutz sent flowers to the family of Cary Lee Bartlow. Rod and Delaine Kutz purchased flowers for the family of Cary Bartlow. I am so sorry for the family’s loss. Deathbis one of the hardest trials to cope with. May you find comfort from the future promise recorded in Revelation 21:4 which says “he [God] will wipe out every tear from their eyes and death will be no more.” We can be certain God will fulfill the words from his word the Bible.